If you read this site a lot you might already know this about me, but in the interest of full disclosure: I 100% absolutely adore everything about any possible variation of the Teen Titans and have been utterly enthralled with TITANS in its Rebirth incarnation. Need proof? You can find my review of the first volume right here. TITANS VOL. 2: MADE IN MANHATTAN continues the upward momentum that started with volume one. Writer Dan Abnett excels at creating moments where he can peel away a layer of the character and really give the readers a glimpse at who they are underneath the capes, the cowls and the superpowers. For example, in the opening scene we see Wally West lecturing Roy Harper about preventing property damage even when they are on the job. This version of Wally is more mature and more well-traveled than the rest of his contemporaries and cannot help but offer unsolicited advice, even though they should all be on equal footing. This is the Wally West that trained Bart Allen from when he first appeared as Impulse—he can’t help but take on a mentor role! This is also the volume that reintroduces Mal Duncan, a.k.a. Guardian, and Karen Beecher (or Karen Duncan as she is known in this continuity by her married name), a.k.a. Bumblebee! Not only do both these characters bring some welcome diversity to the Titans title, but they’re really great characters! In this volume, they represent opposite ends of the metahuman spectrum. Karen isn’t sure that she’s happy with the lot she has been dealt in life as a superpowered individual or whether or not she is equipped to live up to the responsibility that it entails. Conversely, Mal is possessed of a certainty about who he wants to be and what he wants to do with the gifts that have been afforded him. When Karen approaches him with the idea of tampering down or possibly restricting her powers, he is able to provide her with the emotional support she deserves as his wife and the woman he loves, even if he may not agree with her decision. This is the type of maturity of storytelling that we can see with the adult cast of Titans that can really set the style of narrative apart from the parallel running TEEN TITANS title—which is completely amazing in its own right and you simply must read when you get done with this. The real brilliance in Titans Vol. 2: Made in Manhattan is in the first annual. Art duties in this issue are picked up by Mikyu Jung, who brings a very clean style with more Eastern inspiration than you may be used to seeing. It lends a sense of magic and a different reality than what we fans are reading month-to-month. I, personally, am particularly fond of the way Jung draws both Nightwing and Wonder Woman. Two thumbs way, way up! In this chapter, all of the Titans are forced to face down their mentors and prove whether or not they have surpassed the men and women who folded them into the super hero community in the first place. In many ways, it exemplifies the narrative arc that each character shares throughout these volumes. Legacy characters are perpetually caught up in a cycle of self-doubt about whether or not they are living up to the standards that Batman, the Flash or Wonder Woman laid down before them. The mastermind behind this is the Key, who is a very cool, classic and underused Justice League villain. I found this to be a tremendously creative return to the character and an intelligent use of his exact powerset. There is also something nice about seeing these important legacy character having to ascend and coalesce as a team in order to defeat a classic foe of their mentors. While the arc that is the backbone of Made in Manhattan is wonderfully done, the first annual is a true triumph of the title and the tropes that we, as readers, love so much about this medium. This volume transcends any worry about a sophomore slump, and if the rest of the stories told under this banner are going to continue this upward trajectory, then I, as one Titans fan, am nothing short of excited. 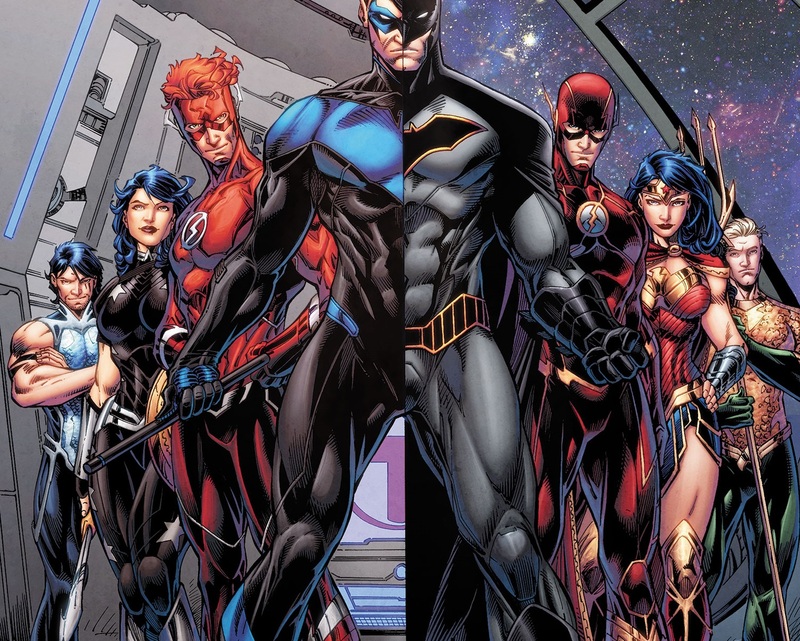 Jump into the comments and let me know what your favorite issue in Titans Vol. 2 was and we’ll compare notes! Ashley V. Robinson writes about Rebirth for DCComics.com and covers The Flash for the #DCTV Couch Club. Look for her on Twitter at @AshleyVRobinson. TITANS VOL. 2: MADE IN MANHATTAN by Dan Abnett, Brett Booth, Norm Rapmund and Minkyu Jung is now available in print and as a digital download.